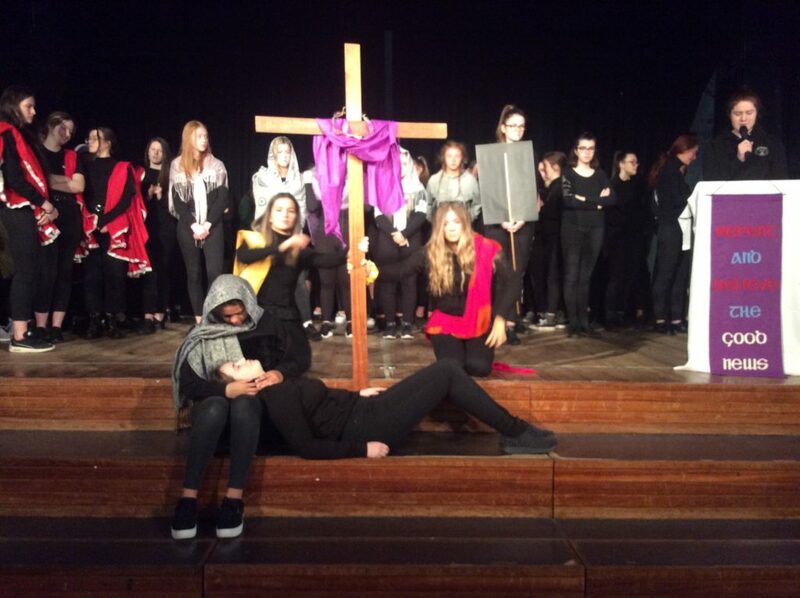 Our fifth years presented a most prayerful and reflective commemoration of the Passion and death of Jesus as we prepare to begin Holy Week. Each station was depicted in a beautiful still image accompanied by a commentary which reminded us that no matter what our suffering is, Jesus accompanies us on our journey. Our crosses are His Cross, our sadness is His, His love never fails. We must accompany others on their journey and be prepared to stand up for what is right and fight injustice on all levels, be it here in school, in our country or worldwide. A happy and peaceful Easter season to all.